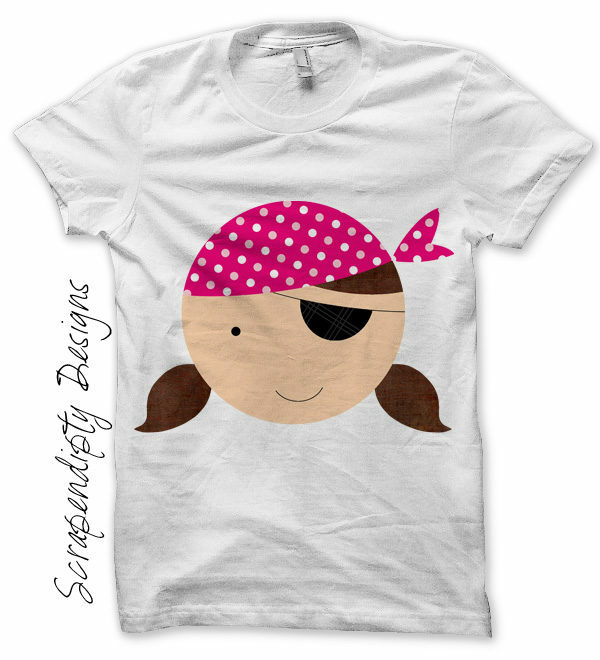 This is an iron on transfer design featuring a pirate. 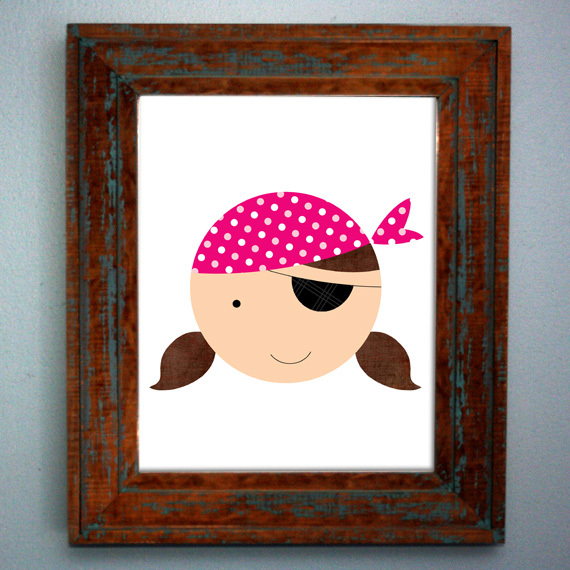 This listing is for an pirate girl. 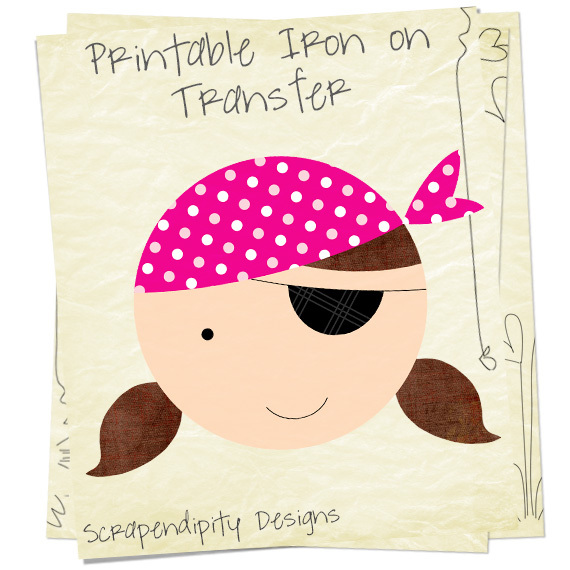 Pirate theme party is not just for boys, featuring a cute girl pirate face. 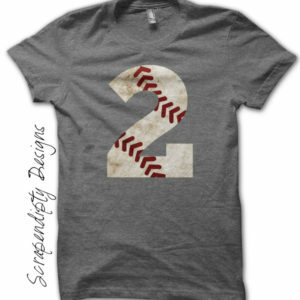 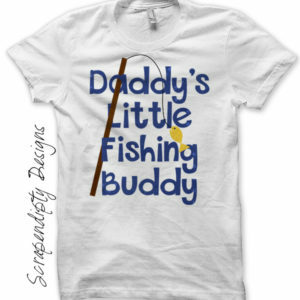 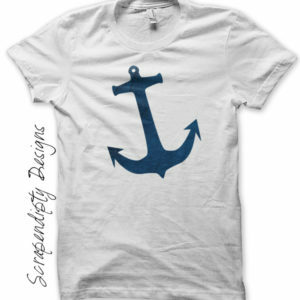 This design is available as a digital file, printed to iron on transfer paper, or a finished shirt. 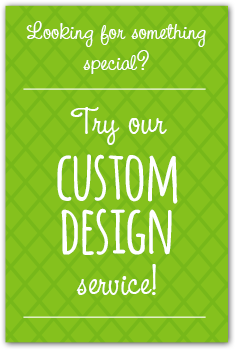 See above for pricing on each of these, and more details about each option are below. 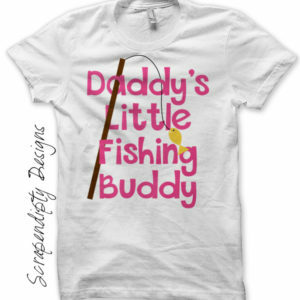 About 5.25 inches tall and 7 inches wide.